December the 7th that was a day when the new Viola's Carols cd was released. 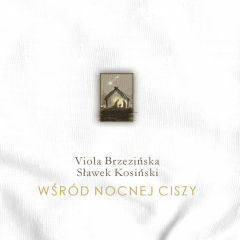 Viola has recorded this album with an extraordinary guitarist Sławek Kosiński (cooperating for example with Urszula and Lombard). On this cd you can hear 9 beautifully arranged carols. It is an absoulutely unic production because of its lyrical climate created by acoustic and classical guitars and beautiful colour of Viola's voice. Everyone who loves simplicity and beauty will be delighted for sure. Layout of the cover is made by Agata Kosno- Jaczewska. 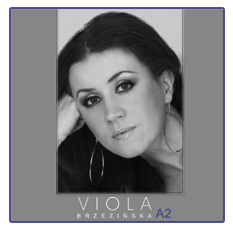 There is a possibility to buy this cd on Viola's website and also the concerts. In the beginning of 2010 Viola and Sławek accompanied by percussion of Kamil Cudzich are going to have several concerts. So, see ya then!